Guernsey FC will play League Two side Exeter City in a pre-season friendly on Friday 13 July. The Grecians will bring over their first-team squad for the clash at Footes Lane as the Green Lions prepare for their first season in the Combined Counties League Premier Division. "I'm delighted with this fixture," said Guernsey boss Tony Vance. "There's no better way to prepare for a gruelling season by taking on professional and skilled opponents." He continued: "It's going to be the biggest test of our abilities to date. It's an exciting match for the players, the staff and the fans. "It's a big challenge for us and if we're in a good condition and apply ourselves in the right manner, hopefully we'll give a good account of ourselves." 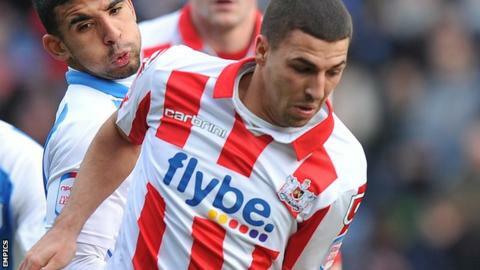 Guernsey are expecting a large crowd at Footes Lane to watch an Exeter side, who were relegated from League One last season and are eager to bounce back at the first attempt. "It's a real coup for us to be playing a professional team," said Guernsey FC secretary Mark Le Tissier. "For Exeter to agree to play us shows that we are competitive and respected by teams in the UK. "We're expecting a big crowd for the match and there will be a terrific atmosphere on the night." However, Guernsey's pre-season plans have been dealt a blow with the news that one of their other scheduled games has been called off. They will take on Leatherhead on 21 July but Farnborough Town, who were due to visit Guernsey a week later, have had to cancel as they cannot afford the cost of travelling to the island. Last year Guernsey met AFC Wimbledon and a Bristol City side made up mainly of academy players in pre-season.